When last did you type your name or your business name into Google? Well, you should. Keeping tabs on what’s being said online about you can save you from failure. Research shows that up to 65% of consumers regard the information they see online as reliable. Harnessing the power of reputation management software makes it easier to make sure what they see about your company is positive. Here’s how. There are a few tools at your disposal to keep an eye on things for you so that you don’t have to check your online reputation every day. Setting up a Google Alert is one way. Be sure to use your full company name e.g “Webb Law criminal defense attorney“, not just a portion of it, like ‘Webb law’. This will prevent you from having to sift through hundreds of unrelated alerts. IFTTT can also be used to track any online mentions of your company or you can use reputation management software such as Brand24. This allows you to track any online conversations about your brand. In this way, you can deal with the bad ones and scrutinize the good ones for leads or insights into your customer base. 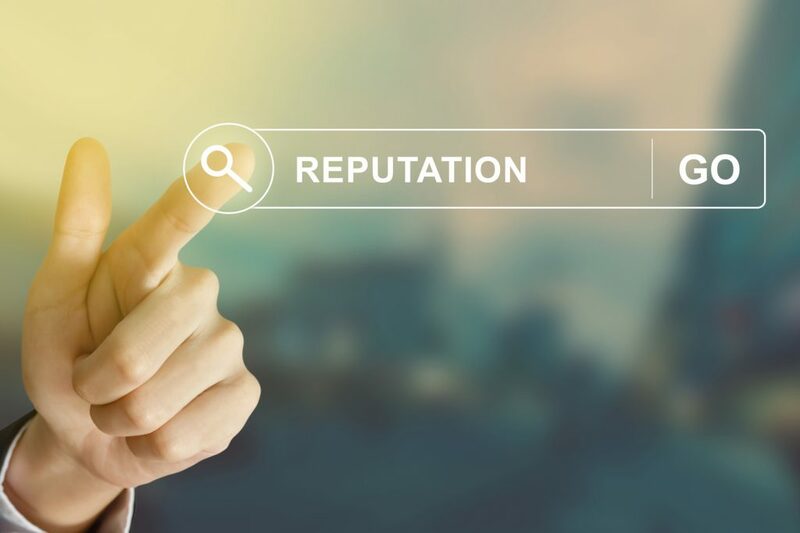 Dealing with customer reviews effectively is one of the top tips for managing your online reputation. Have a plan of defense ready for every eventuality. Make sure that your marketing team knows how to respond to any negative feedback quickly. What if you don’t have a fulltime person to monitor this? Getting a professional reputation management service to help you filter the good from the bad can save you time and ensure that any fires are put out swiftly. Even 1 negative review can cost you 22% of your customers. However, negative reviews can have a positive spin-off if you deal with them correctly. Answer any reviews quickly, apologize if necessary and resolve any queries fast. This creates a great impression of your company, builds trust and might get you some new customers. Reputation management platforms like Grade.us can create social media posts from your positive reviews. This helps you to proactively manage the good along with the bad. Social media platforms spread the word quickly. HootSuite is one of the most popular ways to watch social media mentions of your company and products. SproutSocial also offers reporting and analytics for social media as well as a watchdog function. Likes and shares can spread negative comments about your brand across the world in no time. Make sure your helpful feedback and responses go with them. From the above, you can see that it is well worth investing in reputation management software. If you have no idea where to start, get an expert to help you choose the right fit for you. It all begins with an online reputation audit. Get in touch and let’s get going.